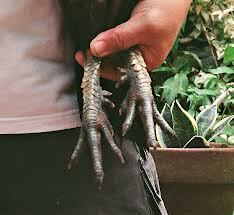 Feet and nails: In addition to walking, feet and claws are used in fighting (for protection) and in finding food. 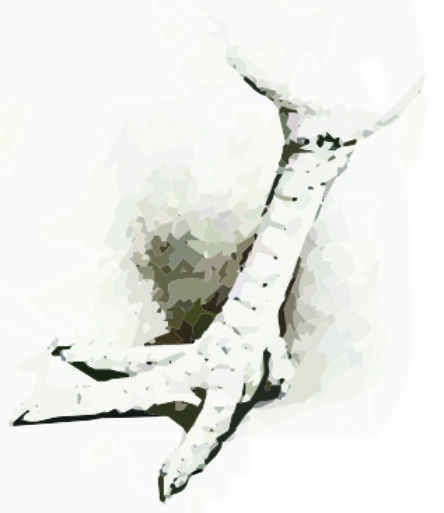 Leg: Includes the upper and lower thigh and shank. Thighs: Feathered parts of the legs between the hock and juncture with the body; that portion between the hock and knee-joint above, being the lower thigh or tibia (drumstick); that portion between the knee-joint and body, the upper thigh or femur. Shank: Portion of the leg below the hock, exclusive of the foot and toes, the metatarsus. Anatomically the shank has the tarsal bones fused into the head of the metatarsus and, therefore, is usually referred to as the tarso-metatarsus. 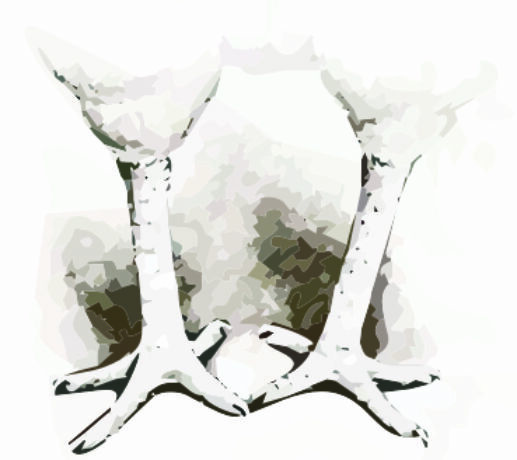 Spur: Stiff horny projection from the rear inner side of the shanks, rounded or pointed according to age, prominent in the male fowl, increasing greatly in size with age, sometimes multiple in character. 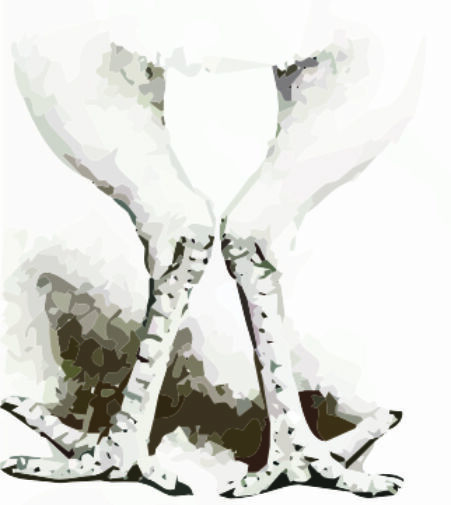 Scales: Thin horny growths completely covering the shanks and top of the toes of a fowl. Flat shin: Shank decidedly lacking in roundness of bone. Hock: Joint between lower thigh and shank, sometimes incorrectly referred to as the knee. Sickle hocks: When the angle of the hock-joint (in the normal standing position) is less than 165 degrees. Knee (Knee-joint): Joint between the upper and lower thighs. A term often though erroneously applied to the hock-joint. 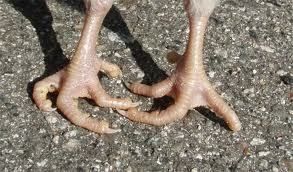 Toes: Chickens stand and walk on their toes. 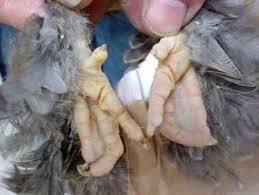 Most chickens have three toes projecting forward and one projecting back, sometimes referred to as the claw. A few breeds, however, have five toes on each foot. 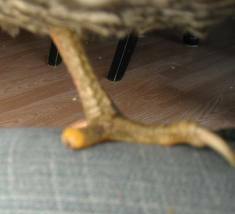 Some breeds also have feathers on their shanks and toes. 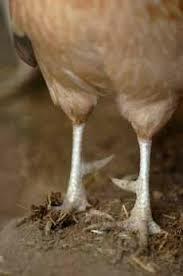 Notes: Feather leg breeds are not to be penalized for a rudimentary outer toe.